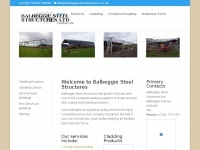 Balbeggie Steel Structures Ltd is one of Scotland's leading supplier of profile steel cladding companies. 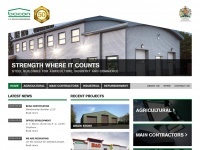 Balbeggie Steel Structures also design and install a variety of structures for Industrial and Agricultural clients. 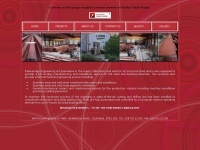 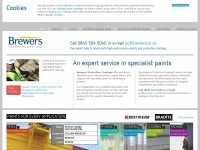 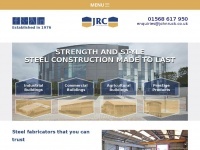 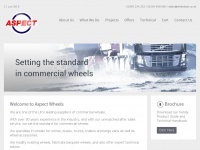 Johnruck.co.uk - John Ruck Construction Ltd - construction ex­per­ti­se ..
Acbacon.co.uk - A.C. Ba­con En­ginee­ring, Norfolk : In­dustrial Steel ..
Brewersprotectivecoatings.co.uk - Bre­wers Protecti­ve Coa­tings | An ex­pert ser­vi­ce in ..
Aspectwheels.co.uk - As­pect Com­mer­cial Wheels | Truck Wheels, Lorry wheels, ..